All these words mean to add, but their usage is different in a sentence. Learning proper usage of these word helps you doing better in cloze test in SSC, IBPS and other competitive exams. Adjoin is a verb. Adjoining is its adjective. It means to be next to something or joined to something. If something like room, building, object adjoins another, they are next to each other. My building adjoins to her building. My bed room adjoins my home office. Annex is a verb. Annexation is its noun. It means to add an area or region to a country, state, etc. to take control of it. If a kingdom or country annexes another country or kingdom, it gains or takes control over it. Annex as a noun chiefly in American English is used to denote a small building attached to a large building and usually used as part of it. The government of India should annex the islands. Indian was not an united state, it become united after annexing its state. An annex is used to store raw material of building. Augment is a verb and augmentation is its noun. It means to increase the amount, value, size, etc. of something. If we augment something, we make it larger than its normal size. We should try to augment our income so that we can live healthy life. India is augmenting military power. It means to make something bigger or become bigger. If we enlarge something, like photograph, home, paper, house, nation, we make a bigger version of them. We have to enlarge this picture. The company is in the process of enlarging its offices. Extend is a verb. It has several meanings. It can mean to stretch something, to protrude from something, to include something to something, to make something longer or greater. The word extend can be used in a very board sense. I extend my hand in morning exercise. Her popularity extends from country to country. This table can extends easily. We extend our services to other part of the country. It means to join one thing to another or connect one thing with another. The shy child attached herself to her mother. The company attached new terms and conditions to their documents. A hook is attached to the back of the picture frame. It means to add something to the end of a piece of writing. If you append something to something else, especially a piece of writing, you attach it or add it to the end of it. We have appended the notes to each chapter. I appended a message for her in the bill. It means to add to the end. As a specimen of his oratory, I subjoin an extract from one of his speeches. - Stanton, Henry B. When to use the words adjoin, annex, augment enlarge, extend, attach, append, subjoin. Adjoin comes from ad meaning "to" plus join, towards joining. The word adjoin is used when a sense of joining or adding something to something else, making them a unit. Adjoin is used in very wide sense, like adjoining two rooms means uniting the rooms, adjoining two nations means uniting the nations, etc. The adjoin can be used almost in many contexts. Annex is used when a sense of adding or including an small area or a small region to a large area or region comes. In American English, annex is used for a small building attached to large building. 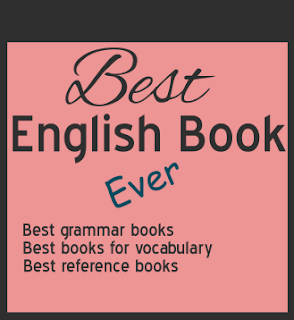 In British English, annex is also known as a section or statement added at the end of a document. The word augment is used when a sense of adding money, power, influence comes. This word is not directly used for material objects. We can't augment a room, a farm, a country, a house. We use the word adjoin to unit two equal things, we use the word annex to add smaller thing to larger one. The word enlarge is used when a sense of larging material objects comes, like house, paper, empire, farm, nation, etc. The word extend is used when a sense of increasing someone or something's influence come. 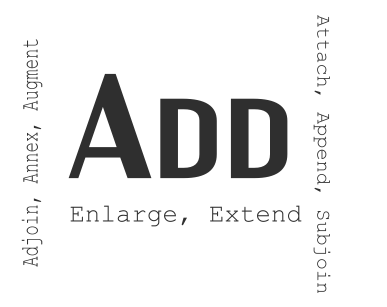 Adjoin means to join two buildings, but attach and annex mean to including smaller one to larger one. For a document, we attach or adjoin the paper to the document, but we annex a clause or statement to the document. We affix a seal or a signature to the document. Append as we can see the word has the word "end". It suggests to add something to the end of something. The word append is used when a sense of adding statements or words at the end of a piece of writing. We want to append a statement onto a contract if something has been left unsaid in it. The word attach is used when a sense of joining two things with the help of another equipment comes. Like attaching two papers means joining two papers with a thread; attaching a printer with a computer means joining them with the help of wire. The word subjoin is simply used when we join something to something else without making any changes to them.